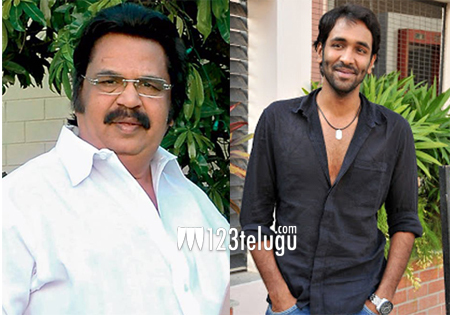 Dasari Narayana Rao and Vishnu Manchu are going to be seen as grandfather and grandson in the upcoming film, ‘Errabus’. Regular shooting of the film is going to start today on the outskirts of Hyderabad. Catherine Teresa is the heroine in this movie. Errabus is going to be directed by Dasari himself and the film is a remake of the Tamil superhit Manjapai. This film is Dr. Dasari ‘s 150th as a director.